(Left) David Buffum and (right) Kim Buffum prepare the paperwork in their Vancouver home for the NW’s Largest Garage Sale April 13. 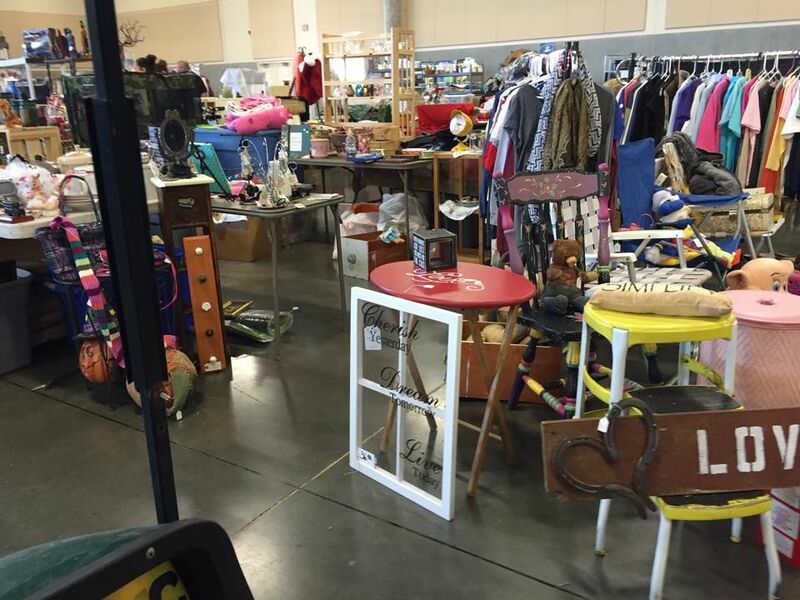 Inside the NW’s Largest Garage Sale. For the 10th year in a row, the NW’s Largest Garage Sale will be held April 13. Although the event resembles a medieval-era marketplace as vendors banter with bargain hunters and attendees of every age jostle for position along the packed walkways, much work goes into organizing and controlling the chaos — and one couple can be thanked. Kim and David Buffum have been married for 31 years, and have spent all of their married life in Vancouver. They have both been around garage sales and swap meets when they were younger so when the market crashed in 2008 they started buying things to resell for money. Soon, they were buying storage units, and while the first experience wasn’t great they kept at it. Before they knew it, they were buying about 15 storage units per month and ran a fulltime garage sale out of their home — but soon Big Brother caught wind of their operation. After city officials told them to wrap it up, they started looking into other options. The Buffums decided to take a leap of faith and rent the Portland Expo Center for their first Garage Sale event. The event went better than they both expected. “They thought we were going to have 800 people show up, but we had 3,500 people come,” David Buffum said. Kim Buffum now dedicates her life to the events. Since there can’t be a show without vendors, Kim and David Buffum try to keep their vendor rates as low as possible, falling at $55 dollars per space. “We provide a safe place to be, and thousands of customers when at home you might only have 50 people stop by,” David Buffum said. Both Kim and David Buffum agreed that their favorite part of the sale is when the doors first open. “It’s amazing to see so many people coming to something we started,” David Buffum said. Cost: $6 parking, General admission costs $6 and is at 8 a.m., Early Bird tickets are $20 and allow access at 7 a.m.
Where: Clark County Event Center, 17402 NE Delfel Road, Ridgefield.